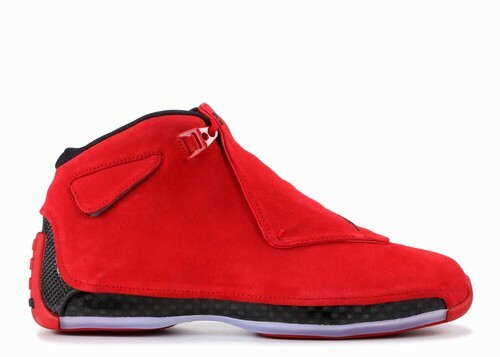 Michael Jordan?s career was marked with many highlights which included six championship rings and countless record setting events. 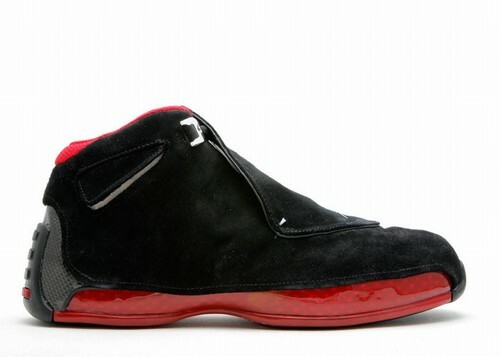 Before Jordan finished his career he sported a very special pair of Air Jordan XVIII?s the black suede basketball shoe has become one of the most sought after post-bulls Jordan retro. 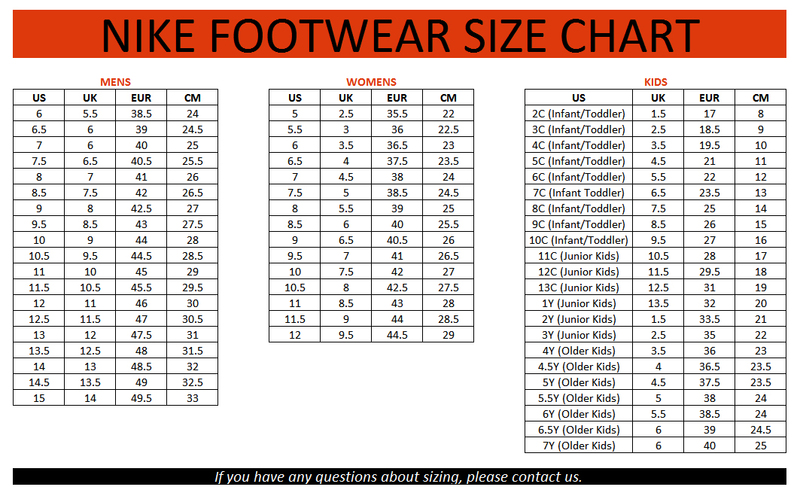 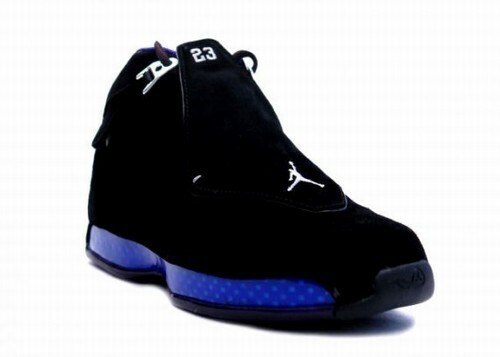 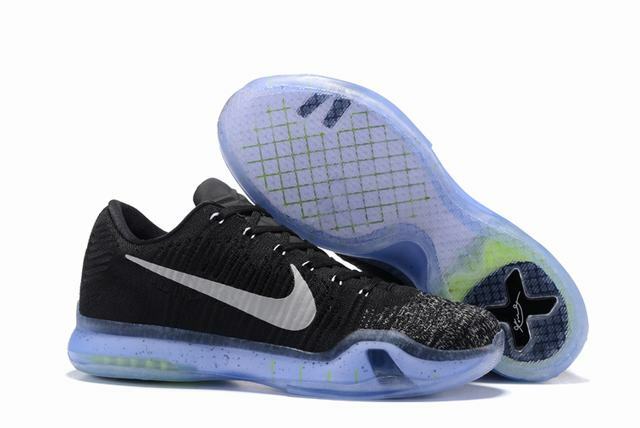 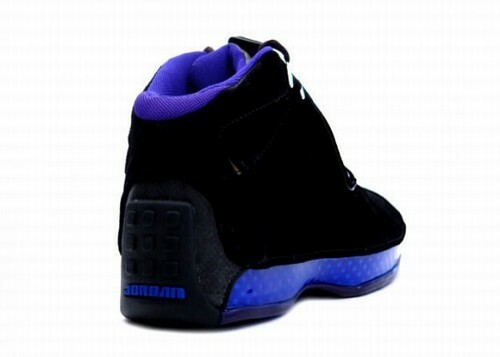 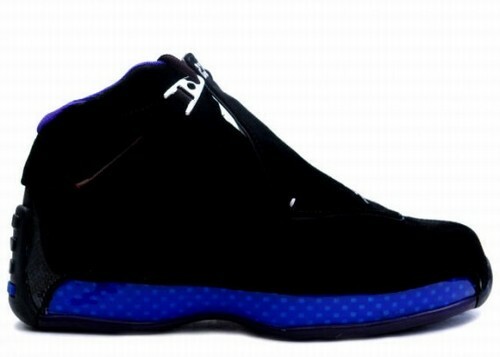 This specific pair is a Air Jordan XVIII (18) Black Blue edition.